Quick and effective weight loss! So your head is full … you’re not only trying to arrange the perfect day, but as most brides you’ll be worrying about the way you look. You will be centre of attention for the whole day. All eyes will be on you from walking down the aisle to dancing the night away with your new hubby, family and friends. So you’ve picked the perfect dress, all matching accessories, you’re debating which make-up will bring out your glow, you know how your hair will be styled … but for many brides there is that one thing that can seem like the hardest thing in the world … losing weight. They are a unique company based in the UK, and the only company to offer non-invasive, non-surgical, Laser Liposuction alongside personal training. This treatment is fast, fun and effective. Isn’t this what we want girlies? Believe2Achieve’s laser therapy can also be used to drastically reduce or even eliminate the appearance of stretch marks. Results show visual reductions of up to 80% with massive improvements to the ‘feel’ of the marks. Katy Foggin and Amanda Grieveson are the amazing ladies behind this fantastic company. Katy is an expert masseuse, renowned in her field for helping many elite sports performers, to fitness-phobics! With more than 30 years combined experience in fitness, massage, nutrition and non-invasive treatments, Katy and Amanda, will support you to achieve your desired results. Katy and Amanda from Believe2Achieve are passionate about helping you look and feel your best whatever your age, shape or level of fitness. They will ensure your programme is tailored to suit your needs. The results from this programme will not only help you feel more confident before your wedding, but thereafter. These life-changing results will lead you into your married life feeling fantastic about yourself. A few months back we talked about having the perfect smile for your wedding day. With Christmas coming up, and vouchers available at certain dentists we wondered if you have thought any more about this. We decided to revisit this topic again, as we think so many brides concentrate on so many other ‘wedding things’. Most brides worry about the way they will look, and concentrate on their make-up, hair and of course, the dress. Some brides even spend a fortune on their shoes. Jimmy Choo being on the top of their list. But how many people are going to see those Jimmy Choos? And how many of your guests will see your beaming smile? So, if you’ve never had any kind of teeth whitening you are bound to be susceptible to some kind of staining. Think of all the money being spent on your wedding … hopefully, you haven’t collapsed thinking about it too hard! But doesn’t it make sense to look after an area of your body that will be on show the whole of your wedding day, and thereafter. Many things disappear after your wedding, but not your smile. 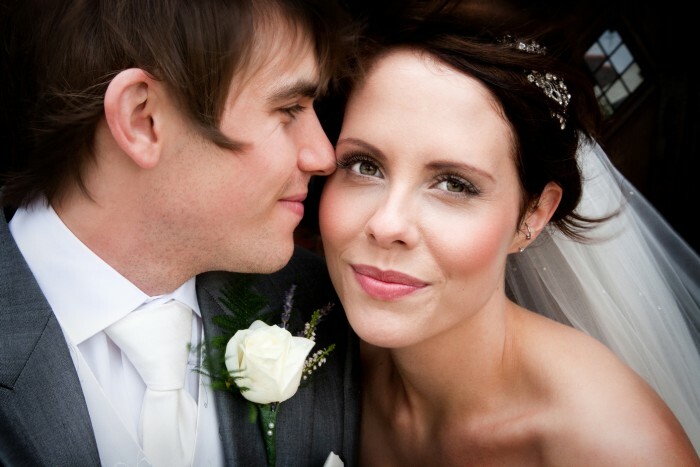 Elliott McCarthy Dental Care and Indentity Individual Dental Care offer amazing services to bridal couples. They understand the importance of your special day and will help you achieve the best smile possible. At Calm Weddings and NJAW, we understand this is one of the most important days of your life. We understand you want to look at your photos/video and love the way you look. How nice would it be too get some close-up shots with your sparkling smile? The perfect smile. If you really haven’t put this into your budget, why not ask a family member for a Christmas voucher or ask a close relative/friend for an early wedding present. People generally buy presents before the wedding anyway, this could be added to your list. Some couples have been known to look back on their wedding day and wonder why they spent so much money in certain areas … treating your smile will not be one of those regrets. Planning your wedding can be one of the most exciting times of your life, but try not to become obsessed. You’re probably living, sleeping and dreaming weddings. Look at ways to relax or try a new hobby; don’t let your wedding take over your life. The best man should be the main support for the groom. It’s usually the best man’s responsibility to organise the stag night/weekend, plus deliver a speech after the meal. It should be the groom’s choice who he would like with him throughout the day. Something you may feel you need lots of throughout the planning of your wedding. However, be very careful as caffeine can give you a ‘temporary high’ but the low can sometimes not be worth it. Caffeine is a stimulant; do you really need any more help in the ‘non-sleeping’ department? Choose a healthier option. Check out Victoria Brown’s blog post on alternatives to caffeine. Decorations can make your venue look spectacular; decorative flowers, vases, fairy lights, candles or sprinkle the tables with metallic confetti. Make sure you stick with your theme; you could make the venue look like an amazing fairy tale. Everyone will be waiting for the bride’s entrance. Hopefully the following won’t make you nervous but … make sure you make a good entrance, smile politely and don’t chat as you walk down the aisle! Remember, any mutters to your father (or whoever is walking you down the aisle) will be noticed by all. Make sure you tell this to your bridesmaids, as eyes will be scanning dresses, hair and make-up so you don’t need mutters between each other overriding the whole effect. Even if it’s mutters to exchange how nervous you feel, remember everyone will be watching! Follow your heart rather than following what’s in fashion. Choosing a dress that is in season or a cake that is very popular could mean you don’t have the things that you would truly want or even match with your plans. Go with what suits your personality rather than following a trend. When it comes to organising weddings, people seem to focus so much on the bride they forget about the person she is marrying. 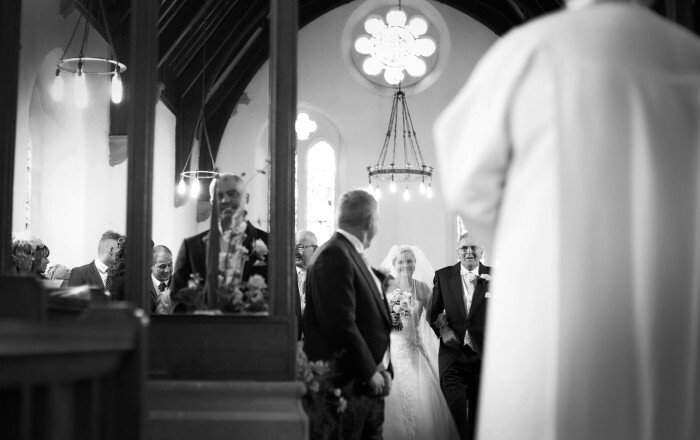 Grooms are usually the first to arrive at the wedding; they will greet guests and wait at the front of the aisle for their bride. It’s a nerve-wracking experience for them too. Give each other as much support as possible. Some grooms may want to get more involved in the planning, so allow them. Integrate your hobbies into your wedding day; a football theme, a golf day or your own band playing. Whatever your hobby see how you can make it part of your special day as this will make it unique to you; differentiating your wedding from the other weddings your guests have attended this year. How are you seating your guests? With people they already know or are you using your wedding as an opportunity for people to mix? Sometimes, this can be awkward, so why not devise some ice-breakers? Some ideas; a quiz that involves the whole table, or design a murder mystery per table that can be integrated into the mealtime, or devise a game where each person has to tell the rest of the table something about themselves. Be creative; breaking the ice will help your guests relax. Some guests might not know anyone, therefore ice-breakers are a great way of making those guests feel included. Make sure any jewellery you wear matches your outfit. Don’t buy your jewellery until you have sorted out your dress (or wedding attire). Wedding keys are a fab way of celebrating your love: symbolising that you have the key to each other’s heart. These are great as favours, or used within your theme as name places etc. Being a good listener is a very good skill to have, not just ‘hearing’ but actually listening. Good listeners will take good advice from others who have planned a wedding. Good listeners increase the success of their marriage, as listening and communicating can be a huge downfall in many marriages! Try not to fly off on your honeymoon the day after your wedding. Have a barbecue or a house party with family and close friends and reminisce your wedding day. You may find you don’t get to speak to half of them on the actual day itself, so use the next day wisely. 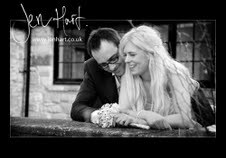 Don’t become obsessed with your wedding as you will turn into a nervous, boring wreck! Plus, think about life after your wedding, what will you talk about when it’s all over? Many brides wonder whether they should change their passport name so they are travelling in their married name. It’s easier to travel in your maiden name if you’re honeymooning days or a few weeks after your wedding; proof of marriage is needed and trying to get this beforehand will only add to your other hundred stresses! Have quiet time with each other that doesn’t relate around wedding talk. You will find as your planning comes together your wedding is the constant topic of conversation. Purposly plan some quiet time in with each other that doesn’t relate to wedding talk. If you decide to have a civil ceremony and it’s not in your local area, you will still have to register your wedding at your local registry office. Some registry offices will pass your details to the appropriate office, but if not they will explain their procedure. Most counties don’t allow you to register until twelve months before your wedding date. Many couples don’t have savings these days as mortgages, credit cards and loans take up a lot of money. So don’t worry if you start with nothing, but be very careful with your budget and know where you’re getting the money from. If you can save before your wedding date this would be a great start. Remember your smiles on your photographs. There are many different ways to have a teeth whitening treatment. Check out NJAW list of people who can help you have the perfect smile. It may rain; unfortunately the weather is not usually a guaranteed service. However, with black and white umbrellas (some companies specialise in wedding umbrellas) you could still be outside and you could get some fantastic photographs. Having a video of your wedding can be more exciting than the photos, as you can relive the day over and over again. Instead of still pictures you will see the movements, hear the laughter and sense the ambience of the day. Plus, you can experience it again and again whenever you like. It was once traditional to wear white, today many brides opt for either an ivory or champagne coloured dress. However, don’t be afraid to choose any colour; show off your personality, it’s your day so do as you please. Hiring a professional yodeller is a great way to entertain your guests. They will have your guests laughing and clapping, this a fun and unique way of getting your guests in the party mood after their meal. Having a different theme for your wedding is definitely a great way to ensure your guests will remember your special day. A zebra theme is not only a fashionable way forward but definitely fun. You could turn your wedding into a safari adventure, or just integrate black and white into the mix. Taming the Wedding Fayre beast!! Have you seen our fab newsletter this month? 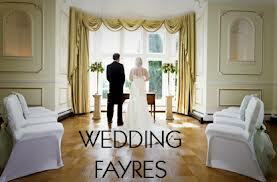 Wedding fayres can be great fun, really informative and a great buzz – full of all of great ideas and helpful tips. In fact, other than the NJAW website ,we think they’re the best way to meet large numbers of wedding suppliers in your area that can meet your every need. Unfortunately though, they can leave you feeling a little overwhelmed – so many people selling so many things! * Pick up all of the offers and the goodie bags. Suppliers spend a lot of time and money trying to attract you to their stalls so take advantage! Even if you’re already sorted, sadly you never know what might happen. * Create a wedding e-mail! There’s nothing worse than your work inbox being bombarded with e-mails or you missing that all important about your dress fitting. Creating a unique e-mail address keeps everything in one place, making your life that little bit easier. 2) A note pad and pen! 3) To wear comfortable clothing and SHOES! And at number 10…most importantly, it’s a trusted companion. Someone who will give you honest opinions and who’s opinion you actually trust and listen to. It’s all about the Bride: but let’s not forget the groom! Now, we all know that weddings are really all about the bride. Many brides have been planning their wedding since they were a little girl. Being a princess for the day is what most brides dream of. 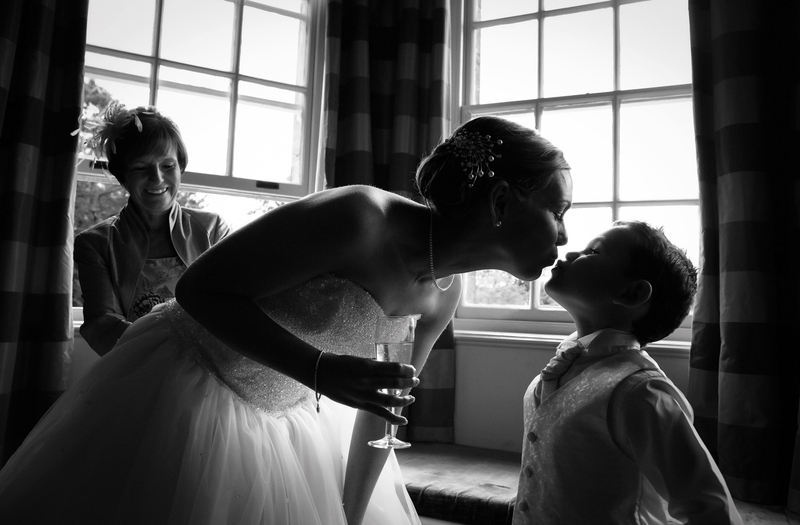 If you’ve read NJAW latest newsletter, you’ll see we have some fab tips for brides. Jo Scott from YAP Bridal Boutique in Newcastle gives advice on the dress that will suit your vision and personality & Jo Leversuch from Make-up by Jo shares her Do’s and Don’ts. But NJAW haven’t forgot all grooms out there, and know there are some grooms who want to have a huge input into the wedding day. Whereas many others are happy to let their lady organise everything! Here’s a bit of advice on working together to make sure you both have the day of your dreams. Planning a wedding can be one of the most exciting things many brides will ever experience, but don’t assume your hubby-to-be doesn’t want to be involved. He may have his own ideas. Many brides take over the wedding planning and many grooms will admit they prefer it this way. However, there are many men who do want a big input into their wedding plans. 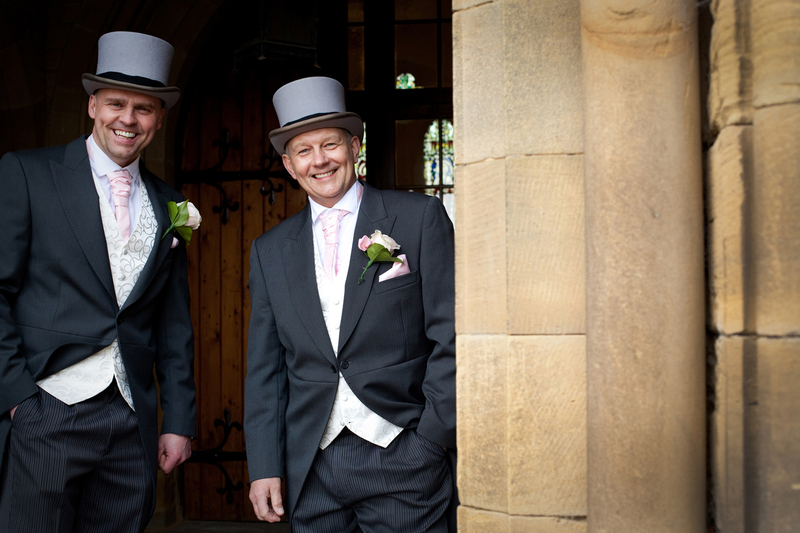 ‘Pete was happy for me to plan most things as long as he chose his suit, his wedding ring & our first dance song. I have taken over apart from the things Pete wanted to do, he has done & helped to design the wedding invitations,’ says Janine. There are many grooms who want the big wedding as much as the bride, or more than the bride. Don’t assume that the man will think the whole day is fluffy and he just wants to turn up. ‘I was happy to go away and get married and throw a party when we got back, but Steven really wanted the big day,’ says Violet. ‘Mel just told me what I needed to do, where I needed to be and I was happy with this,’ says Neil. So make sure before you go ahead planning your dream wedding that you’ve included your man’s views. Sit down with each other and discuss your ideas. Listen to each other. What’s important to one of you, isn’t necessarily a priority for the other, however these wants should still be considered. The best way forward is to brainstorm and write down a plan. Once your plan is in place, then assign tasks to each other. This is a great way to start your married life. Weddings can cause so many arguments that it’s not unknown for couples to wonder why they didn’t just run off and get married. Starting as you mean to go on will definitely benefit your married life.